A baby in a cute outfit always makes me melt and this picture had the same effect. Look at her little face! Relax, the Buff Baby Dumbbell Rattle is made from lightweight plastic. What a great twist on a traditional rattle design. If you know any exercise-loving new parents this would be a funny little gift for their offspring and if you want to go the whole hog and also get these gym shoe style socks that’s completely up to you. 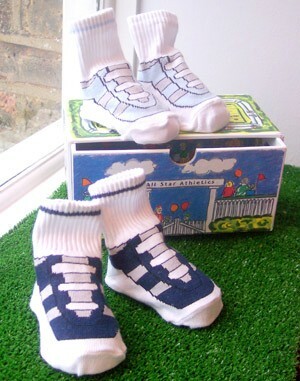 The rattle is £8 and the socks are £14.95 and both are available from Culture Label. 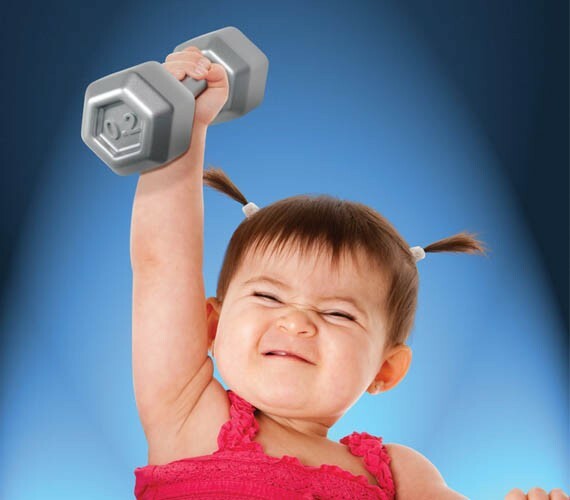 still laughing at the expression on the “buff” baby! great post! I don’t know how they managed to get that shot, it’s great!